A couple of days ago I read an article on Facebook about onions. About how once you cut them, they can soak up the bacteria from an entire room. 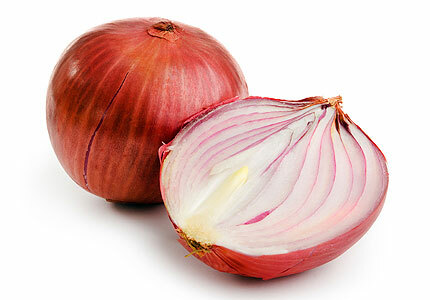 It said that if you’re unwell or if you have the flu, simply cut an onion in half, place it in a jar in your room and by the next morning, the onion will be brown from soaking up the bacteria and you should be starting to feel a little bit better. Now, given the circumstances of the last two years of my life and everything that I’ve been through, I have done more than quite a few crazy things along the way on the off chance that one of them may have aided in my recovery, even just a little. So as far as crazy ideas go, the thought of having half of an onion in my room really didn’t seem overly crazy to me. In fact, I actually found it to be quite clever. Obviously like always, she was right, but I was determined to try out my new found experiment, regardless of outsider opinions. Maybe if the onion could collect the germs from a flu virus then perhaps it could collect the germs from other things too. It had to be worth a try. Sure enough, that night I stole half of a red onion that Dadda was using for his salad and placed it in a bowl. A bowl which I later snuck into my bedroom and sat down beside my bed. Considering I am not at all a fan of onion however, I am not quite sure what I was thinking. By the time I had climbed into bed that night, the scent of fresh onion had flooded the room and within about half an hour of laying there, it was almost too strong to handle. So strong in fact that I was on the opposite side of the bed to where the onion was and yet my eyes were still beginning to water. There I was, laying in bed trying to sleep in a room filled with the scent of onion, just because I believed that it could take away a flu virus that I did not even have. So far, it probably was not one of my greatest ideas. The worst part of it though, was that by the time I had realised my idea was completely crazy, everyone else in the house had already gone to bed and I was far too embarrassed to walk out of my room, turn the light on and have someone else walk out and see me standing there in my pyjamas, holding onto a bowl with half of an onion inside. This was definately not something I needed people to know about. In fear of someone seeing me leave my room in such a state, I instead shoved my head under my pillow, tried to breathe as few times as possible and pretended that the taste in my mouth was not raw onion and luckily, somewhere in between all of that self torture, I managed to fall asleep. In the morning though, much to my disappointment, I of course awoke to find that the onion was still there, still completely white in colour and not at all flu-like. So just in case I wasn’t already embarrassed by my big bright idea last night, it was now morning and I still had a room that smelled of raw onion, I still had tears in my eyes and I still had a bowl in my hand with half of an onion that I had to try and hide on my way out to the kitchen. Only now it was broad daylight, so my chances of hiding my embarrassment had gone from slim to none. I was now certain that this definately wasn’t my greatest decision. In fact, I think I changed my mind fairly quickly, as far as ideas go, maybe it was a little crazier than I had first thought.